Our original itinerary after arriving in Riverside was to take the Metrolink into Los Angeles and visit the Japanese American National Museum. 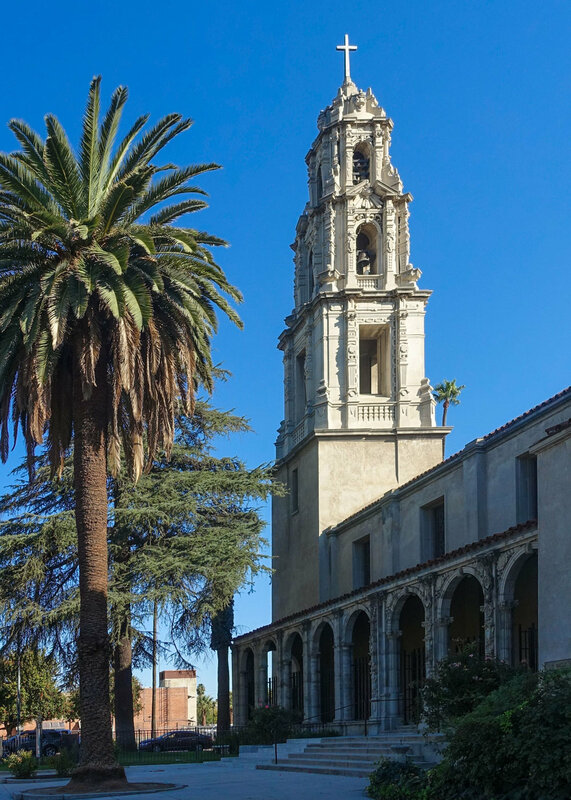 Since our Amtrak train to Riverside was three hours late, we enjoyed a relaxing self-guided tour of local sites and scoped out destinations for upcoming days. 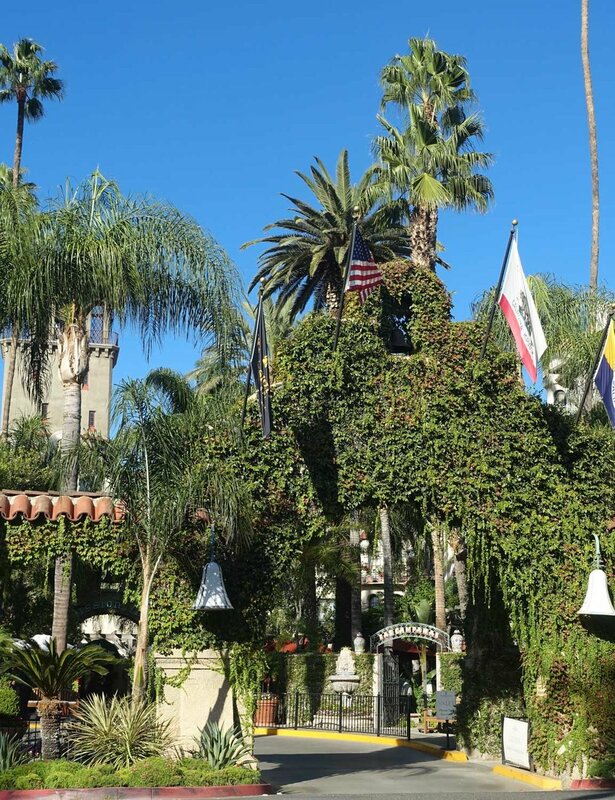 Today the MIssion Inn is known as The Mission Inn Hotel & Spa. 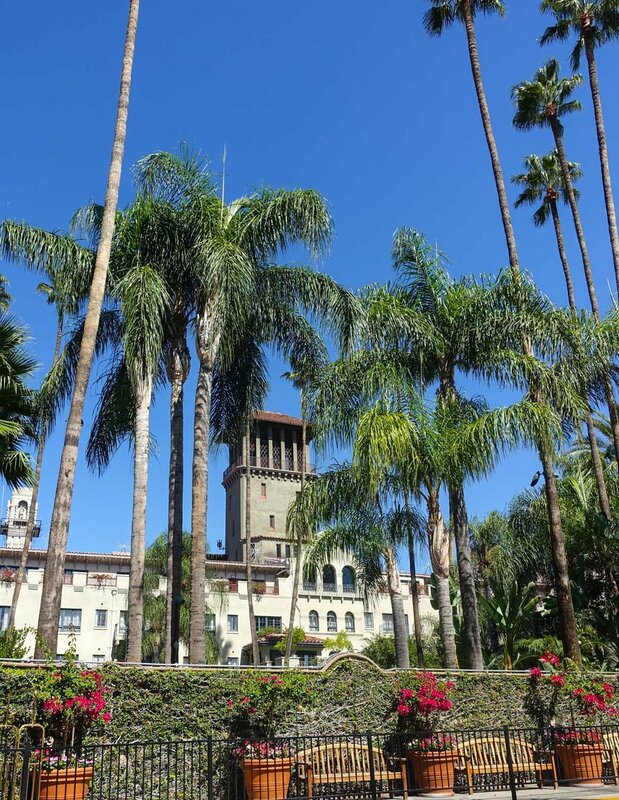 Framed by its breathtaking Spanish Mission –style architecture, The Mission Inn Hotel & Spa welcomes you to a destination where rich history and classic elegance exist in perfect balance with contemporary luxury and comfort. The Mission Inn began as a quaint adobe boarding house called "The Glenwood Cottage", built by engineer/surveyor Christopher Columbus Miller and on November 22, 1876, the Miller’s took their first paying guest. In February 1880, Miller's son Frank Augustus Miller purchased the hotel and land from his father. It blossomed into a full-service hotel in the early 1900s due to California's economic citrus boom and warm weather, attracting wealthy travelers and investors from East Coast and Europe. In 1902, Miller's son Frank Augustus Miller changed the name to the "Glenwood Mission Inn" and started building, in a variety of styles, until he died in 1935. Miller's vision for the eclectic structure was drawn from many historical design periods, revivals, influences, and styles. Some are Spanish Gothic architecture, Mission Revival Style architecture, Moorish Revival architecture, Spanish Colonial style architecture, Spanish Colonial Revival Style architecture, Renaissance Revival architecture, and Mediterranean Revival Style architecture. With one section over another, addition upon addition, the result is a complicated and intricately built structure. It contains narrow passageways, exterior arcades, a medieval-style clock, a five-story rotunda, numerous patios and windows, castle towers, minarets, a Cloister Wing (with catacombs), flying buttresses, Mediterranean domes and a pedestrian sky bridge among many other features. During the 30-year construction period, Miller traveled the world, collecting treasures to bring back to the hotel for display. 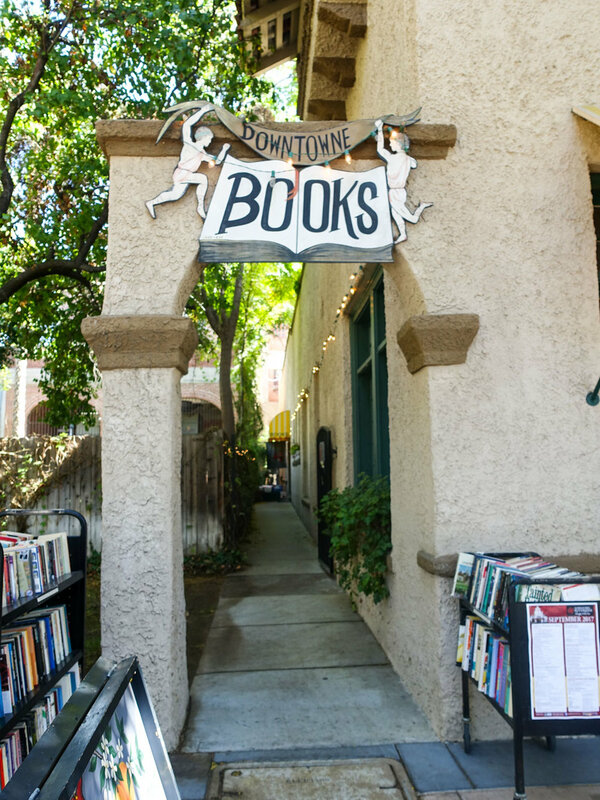 We continued our meanderings along Mission, Main and Orange Streets. The Chinese Pavillon: The Chinese Pavilion was built in 1985-86 and stands in front of the Riverside Central Library, at the corner of Mission Inn Avenue and Orange Street. It was built in honor of the Chinese settlers who came to Riverside in the late 19th and early 20th centuries. 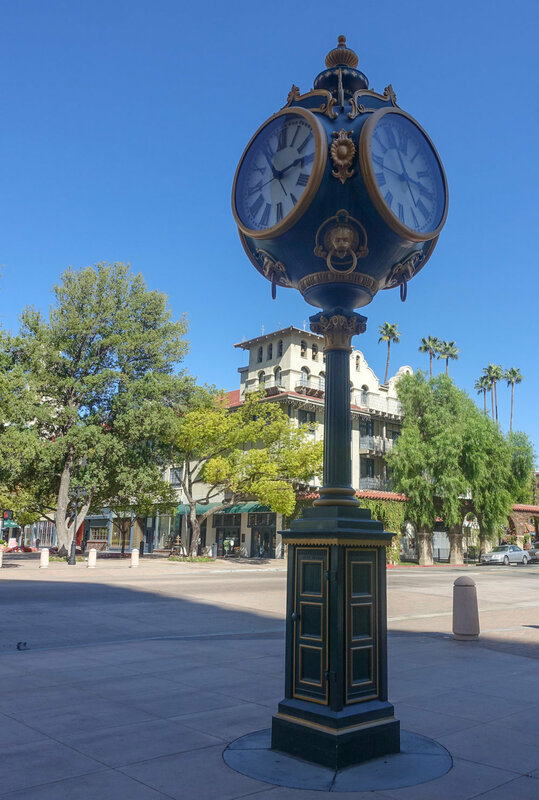 Seth Thomas Clock: Main Street pedestrian mall (near Mission Inn Avenue just outside Coffee Bean & Tea Leaf) — Though the clock itself dates back to 1908, it didn’t appear in Riverside until the 1920s when it was planted outside a jeweler’s store on Main Street. Since that time, the clock has been moved at least twice, with the majority spent adjacent to the former Westbrook’s / Imperial building. In early 2010, the completely refurbished clock was moved about half-block north to its current position near Mission Inn Avenue. Bougainvillea and Raincross Bell Lamppost: The unique City Raincross Symbol is derived from combining a replica of the mass bell used by Father Junipero Serra, missionary priest and founder of the California Missions, and the cross to which the Navajo and Central American Indians prayed for rain. First Congregational Church: FCC was the first church in Riverside, CA when it was founded April 1, 1872. Frank Miller, owner and proprietor of the Mission Inn, became a member in 1878 and led the effort to build the current building completed in 1914. The building was designed by Myron Hunt in the Spanish Churriguerresque (Baroque) style. It is now designated as a historical landmark.